Complete your concession stand fare with a spicy kick from this Carnival King 110 oz. jalapeno cheese sauce bag. It's just what you need to put the finishing touch on a variety of concession staples, including nacho chips, hot dogs, pretzels, chili dogs, and fries. You can also kick up the heat your existing menu items, like Philly-style cheese steaks, baked potatoes, and burgers, with irresistible jalapeno flavor. This sauce offers the perfect fusion of creamy cheese and bits of jalapeno peppers with the convenience of a bagged product. 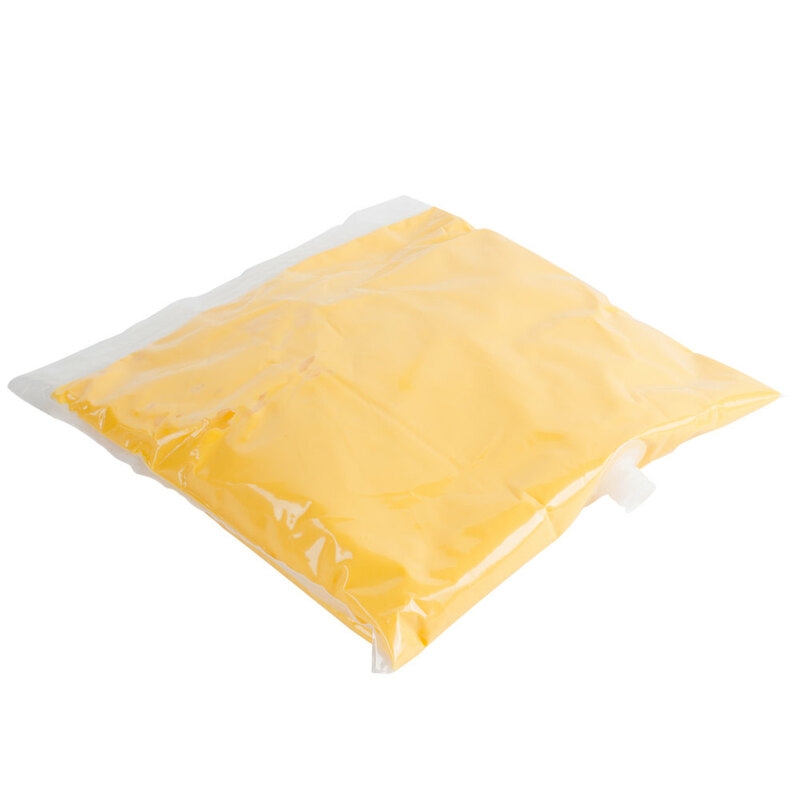 The bag keeps your cheese sauce staying fresh, allowing you to safely store cheese sauce in your kitchen or concession stand without refrigeration. This Carnival King jalapeno cheese sauce bag comes with four connecting tubes that can attach to a cheese sauce dispenser (sold separately). Using a cheese sauce dispenser limits wasted product, which ultimately saves you money. Since it's easy to dispense cheese sauce, you can begin adding creamy cheese to your crispy nacho chips and cheese fries with little effort. For great jalapeno cheese flavor in a convenient and shelf-stable and ready-to-serve package, you can't go wrong with this Carnival King 110 oz. jalapeno cheese sauce bag!